Located a few kilometers from Milan, Bergamo is a city of rare beauty in the heart of Lombardy, from the incredible Venetian Walls, Unesco World Heritage, to the square that enchanted Le Corbusier, museums and historic buildings, timeless masterpieces between the Upper Town and Lower Town . It is a city that surprises and enchants every visitor for its amazing artistic and cultural beauties, but it is also an excellent starting point for excursions and trips in the surrounding area. On one side, the Lower City, whose beating heart develops through a long tree-lined avenue, the Sentierone enclosed between shops, residential buildings; on the other you can see the Upper Bergamo, the oldest with enchanting architecture that dominates the majestic valleys. Strolling through the historic center, admiring the extraordinary views along the Venetian walls, the beautiful Piazza Vecchia, the splendid heart of the city, and the Piazza del Duomo which contain the most precious treasures, such as the Colleoni Chapel, the Baptistery and the Basilica of Santa Maria Maggiore while the Museums of Piazza della Cittadella offer an exciting journey between nature and art. Do not miss the view from the top of the Campanone from which to enjoy a spectacular view of Bergamo Alta and the one from the Castle of San Vigilio, to admire the line of the Orobic Prealps on the horizon. But in the evening it is good to carve out some time to enjoy an aperitif in one of the many trendy bars or a typical dinner based on casoncelli, polenta and meat in the various restaurants. For those who love being outdoors, the Regional Park of the Hills of Bergamo , a protected natural area that contains both natural and architectural beauties of great value, such as the historic core of Città Alta. A perfect ecosystem between the two streams of Brembo and Serio, which extends over ten municipalities and occupies a very large and varied surface, where vineyards, chestnut woods and olive groves alternate. 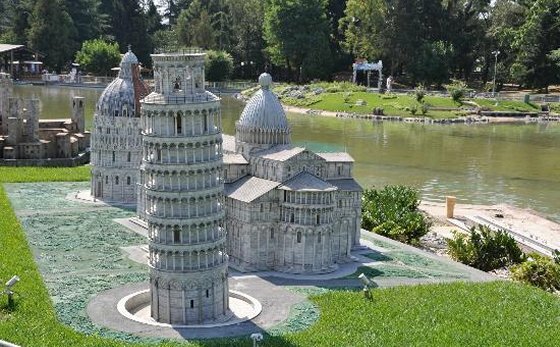 Inside is the Castle of San Vigilio and the botanical garden, as well as a beautiful cycle and pedestrian path immersed in greenery. 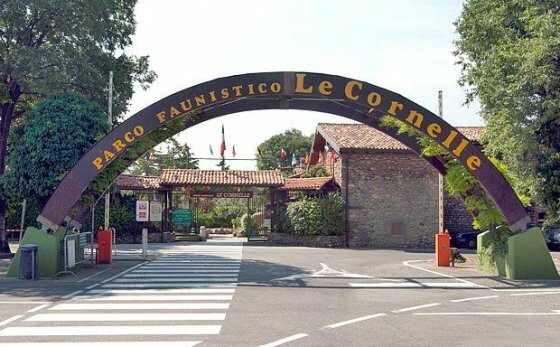 A few kilometers from the city you can reach other nearby destinations such as the Parco delle Orobie , little known and less touristy but with extraordinary landscapes and nature. 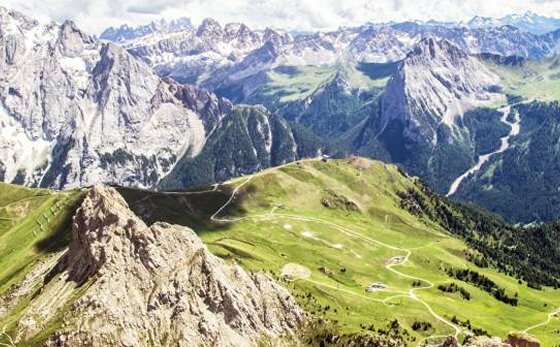 Here are the three Bergamo valleys, Val di Scalve, Valle Brembana and Valle Seriana , ideal for a relaxing or sporting holiday in all periods of the year. In the Brembana valley there are the ski fields of Foppolo and Schilpario, the thermal baths of San Pellegrino, and the climbs towards Pizzo Tre Signori. In summer you can walk or hike among the long alpine paths, or follow the cultural itineraries between the villages of Clusone and Crespi d'Adda , the only example of industrial archeology Italian, World Heritage Site. 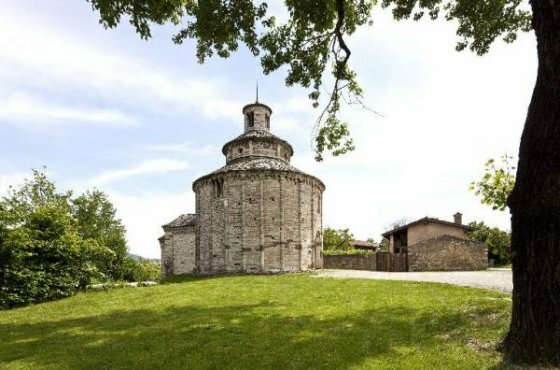 There is also room for history in the Bergamo valleys, for example you can visit the medieval center of Gromo, in the Seriana valley, or the wonderful ethnographic museum of Schilpario, in Val di Scalve. But like any self-respecting valley, lakes and water springs meet and flow into marvelous waterfalls , like those of the Serio, the second highest in Europe with their jump of 315 meters, really spectacular. In less than an hour you get to Lago d'Iseo , on the Bergamo side, an ideal destination for those who want to enjoy a boat ride, take a bath or take long panoramic walks on its banks. Also not to be missed is a walk around the pretty town of Lovere overlooking the lake, one of the most beautiful villages in Italy in 2003, amidst medieval alleyways and suggestive views with the beautiful central square and its colorful buildings where the civic tower stands out, which make it very suggestive and romantic. Of course we also recommend a walk on the lakefront that reflects the palaces and villas in neoclassical and liberty style, or an exploration by bicycle in the surrounding area for a few hours outdoor sport activites. 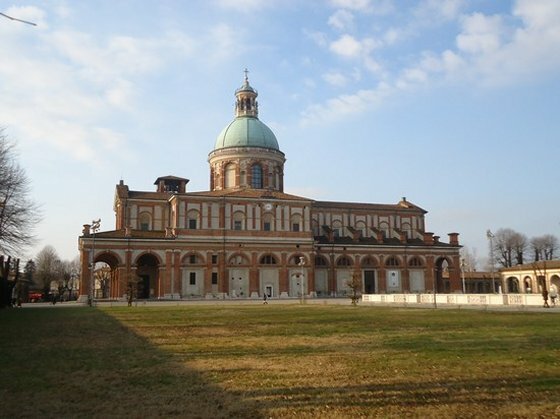 Also interesting is a boat trip to reach Montisola , in the heart of the lake, the largest lake island in Europe and the two islets of San Paolo and Loreto, where it is possible to make pleasant excursions on foot or in bicycle. You can opt for a ride around the island riding on pleasant paths flanked by the lake and fields of olive groves and vineyards, or in the summer, soak in the waters to take refreshing baths or enjoy a typical dish in the various restaurants and taverns in the towns bathing. Finally, to close the itinerary on the lake we recommend a trip to the gorges of Bogn di Zorzino , a very suggestive spectacle of nature located near the small medieval village of Riva di Solto. A spectacular and magnificent inlet, where the rocks form high spiers with rocky spurs overlooking the water, giving the landscape a fascinating scenery. The waters are fresh, clear and of an intense green.